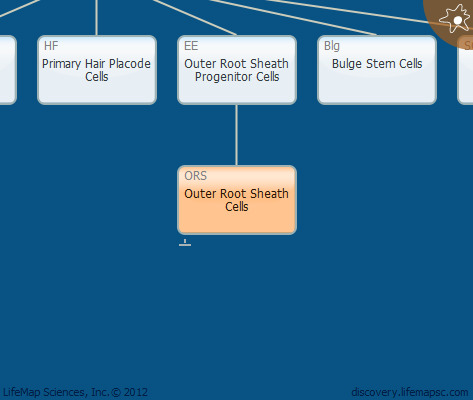 Outer root sheath cells form an envelope enclosing the entire hair follicle. These cells express the Keratin 14 specific for the basal layer, and the Keratin17, specific to the outer root sheath. Bulbous peg stage (stages 6-8).